This is taken to its logic next step this year, with the OSI providing a machine readable publication of OSI approved licenses at api.opensource.org. This will allow third parties to become license-aware, and give organizations the ability to clearly determine if a license is, in fact, an Open Source license, from the authoritative source regarding Open Source licenses, the OSI. 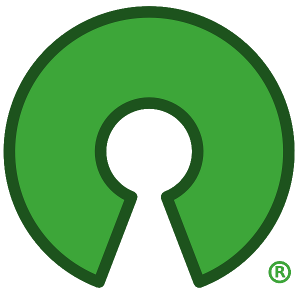 Open Source Lead at GitHub, Brandon Keepers offered, "A canonical, machine-readable source of license metadata is a great step towards enabling developers to build tools around open source licensing and compliance. We can't wait to see what the community does with it." The concept behind this API is to be a "hub" to store a central list of crosswalks and common identifiers to other services, allowing third parties who are already license-aware to provide their mappings, and pull OSI approval status programatically. As a proof of concept, SPDX identifiers have been added, trivially allowing cross-walks to SPDX datasets. This allows anyone to take an SPDX license ID, and determine if it's OSI approved by asking the OSI API. The source for the machine readable data can be found in git, and pull requests are highly encouraged. Very basic API wrappers have been published for Python, Go, as well as Ruby. If you have ideas on additional metadata to add to the License specification, please feel free to file a bug (or send a patch!) with the licenses repo, with some snippets of data as an example.